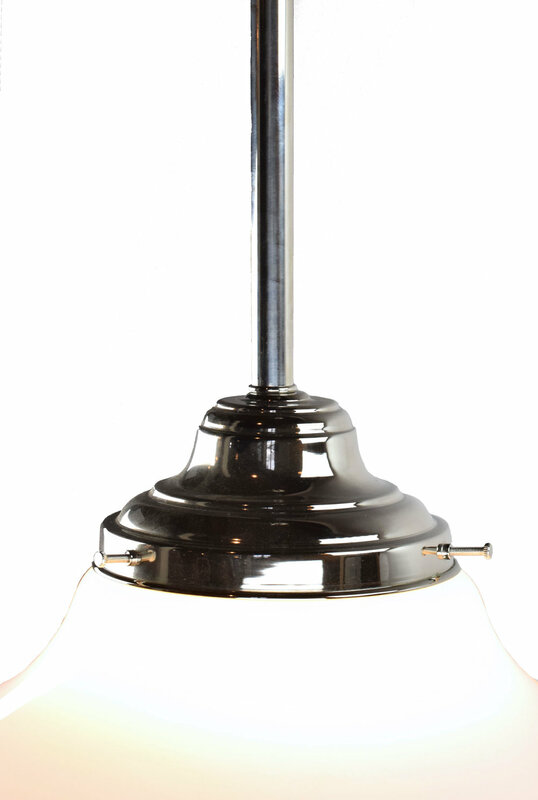 This elegantly simple shade comes in three sizes and can be either a pendant or a flush mount. 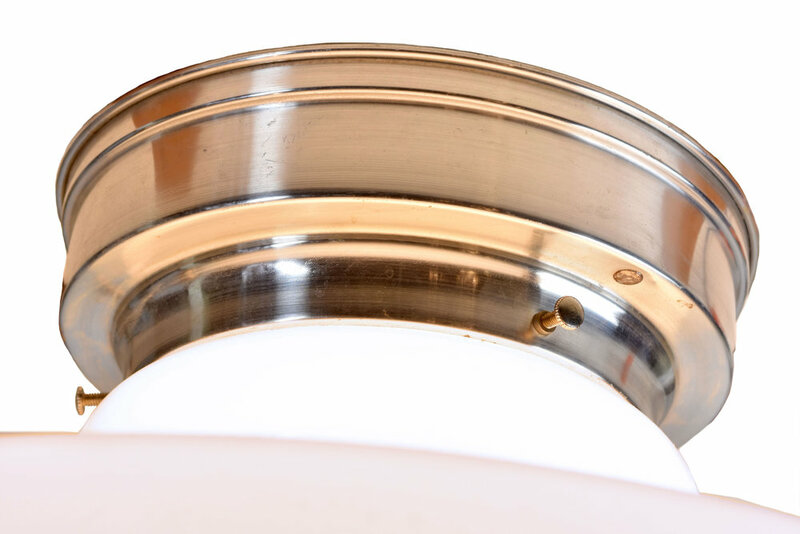 The shape of the shade has a modest curve down from the fixture almost turning up before resigning to gravity. 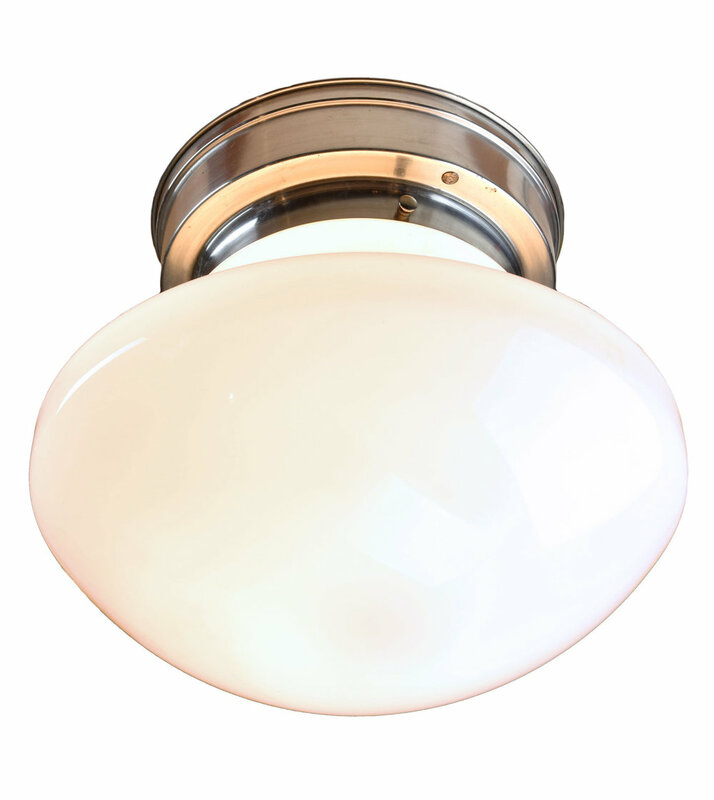 The warm glowing light that comes off of this light could only come from a milk-glass shade with either an incandescent or LED bulb. $49.99 - $99.99 shipping within the continental United States. International shipping also available. Please contact us for a quote. Be sure to include the Product ID AA#48151 when making your offer.